Batriq Restaurant Kuwait, last updated on 2 Febraury 2017 , is listed under Sandwiches category. It was added to Kuwait Directory Rinnoo.net on 9 May 2014 . 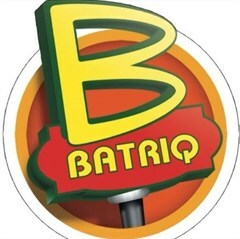 Pages of Batriq Restaurant Kuwait on Rinnoo.net have achieved 155,677 views till now. Batriq is a fast food restaurant chain founded in 1984 and it is popular in Kuwait for the fact that its branches are in different places around the town. They also serve meals for kids. * Most viewed out of 9 branches. Sorted based on branches' views in the last 30 days, from Thursday, 28 March 2019 till today.